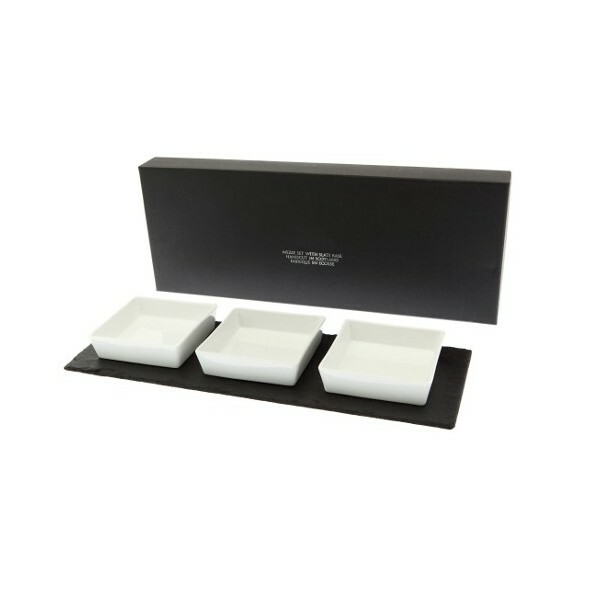 Home>Dining Table Accessories>Serving Platters >Mezze slate platter with ceramic inserts. Mezze slate platter with ceramic inserts. 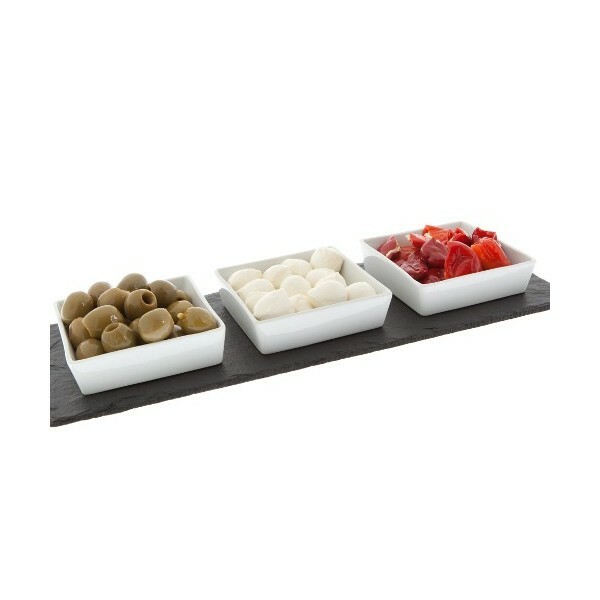 Stunning slate serving mezze platter with square ceramic dishes. Dishes are dishwasher safe and measure approx 11cm x 11cm, the dishes sit on grooved basins within the slate to ensure that they are presented in a uniform manner and to provide stability. Slate base measures 42cm x 15cm. Hand crafted in the UK. Has foam on base to prevent scratching surfaces. Perfect for tapa, dips, ollives, nuts and crisps. 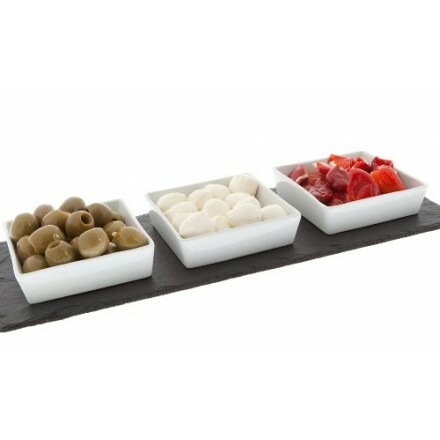 An ideal piece for sharing the slate base is an excellent support for use as a serving platter. use as a way of formalising a takeaway by placing chutneys in each dish to share as a centrepiece. Can be used for hot or cold starters. Possibilites are endlesss. One of these just may find its way into the Styleabode kitchen! This item comes boxed. Each piece is individual due to the natural material used. Irregularities should be expected. Slate should be cleaned with a mild kitchen cleaner and a damp cloth. YOu may want to enhance the colour of your slate by rubbing it with a natural oil and buffing excess with a damp cloth. Ceramic dishes are dishwasher safe.